This little guy was absolutely adorable AND he did not like the camera one bit! Jackson fought sleep for quite awhile, but eventually he gave in to my magic! We kept him nice and wrapped most of the time so he’d stay sleepy once he decided sleeping was okay. I can already tell he is going to have such a fun personality, ha! Those chunky cheeks and his sweet little button nose melted my heart. His mama requested a Christmas set up, as well as blues and greens. Personally, as a former UNCW seahawk, I have to say that I love the teal images! 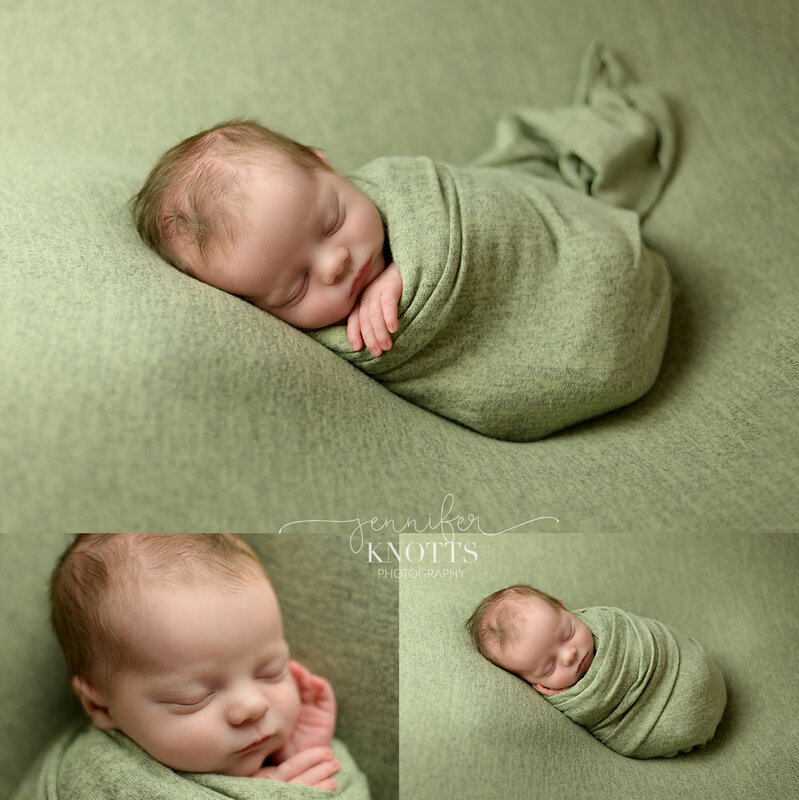 Click here to learn more about newborn sessions with Jennifer Knotts Photography.